Where Do My Lucky Numbers Come From? We are about to let you in on a mystery that many celebrities and wealthy people know already. All names and dates that you bump into throughout your life can be reduced to numbers, including your own name, name of your child, your company, your birth date or any special date, like the date of your marriage or the date of the lottery draw. Numbers impact your life much more than you can ever imagine. Long ago ancient priests were trying to hide this secret knowledge about numbers from others. However, people kept applying their lucky numbers instinctively and many won lottery prizes simply by entering their own and family members’ birth days, birth months and summed up birth years in the lottery tickets. Generally speaking, this belief comes from an ancient science of Numerology. Numerologists believe that everything around us is subject to the mystical properties of numbers. To calculate properly your personal lucky numbers we had to study Numerology, its principles, its history and then develop a software that could generate your lucky numbers automatically. Numerology can be traced back to the beginning of almost every single culture. It was known in Babylonia, astrological philosophy of Hellenistic Alexandria, early Christian mysticism, early Gnostics, the Hebrew system of the Kabbalah, The Indian Vedas, the Chinese "Circle of the Dead" and the Egyptian culture. Where can I apply my Lucky Numbers? Do you want to enter a lottery and are uncertain about what numbers to enter? Try entering your name, birth date and lottery date in our Free Lucky Number Generator and see whether this makes you a winner. You can use both main lucky numbers in the circles and the Alternative numbers that derive from your lucky numbers. Please refer to our Alternative Numbers page to learn more on how we calculate your alternative numbers. The smaller your alternative number is, the closer it is to the essence of your lucky number and the more chances it has to bring you success. Do you kind of like someone but do not really know him well enough? Try entering his name in our Lucky Number calculator to see what he really is. Make sure you enter both names, if he has a double name. Are you expecting a baby and are unsure about how to name him or her? Try entering his potential names in our Lottery Calculator to see what type of charater you are giving him with the name. If you are thinking about a double name, enter both names without a space. Are you moving house? Enter the potential street name in our Free Numerology Calculator and see whether its lucky number matches your own lucky number. If it does, you will be lucky in it. Are you about to start a new business and looking for a good name for it or are unsure about the start date for it? Try entering your business name along with a start date in our Numerology Calculator and have a look at the meaning of the numbers you receive. Is the business name you selected good enough or do you want to have another go? Is the start date good enough or would you rather start at a different date? Taken from Numerology Lucky Lottery Numbers reveal the connection between your Name, your Birthdate, your Life Path and the Date of Actual Lotto Draw. Our Lucky Number Calculator will generate for free your personal Lucky Lottery Numbers for all your family members. Together with all your friends and family apply your lucky numbers to increase your chances to win a jackpot of your favourite lotto. It’s only to help you win at least smaller prizes in popular lotteries. Say you wish to play with 15 numbers, while you can only enter 6 of those in a lottery ticket. Lottery Wheels will apply mathematical formulae based on Combinatorics to produce tables giving you either full or partial coverage of all possible combinations of your numbers. Please, read more about Lottery Wheels. 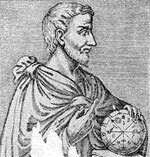 It is generally believed that modern Numerology derives from the works of Pythagoras, a father of geometry, who had already assigned numbers certain non-numerical traits in the sixth century B.C. Later works of other numerologists have developed Pythagoras ideas of applying certain qualities to numbers. Although these qualities may slightly differ with different numerologists, the most common are defining 1 as wholeness, 3 as fame, 9 as completion of the cycle that will turn over to 1 again in a new life cycle, as perfection of character and wisdom (10) is unobtainable. 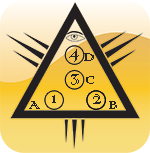 Please, refer to our Pythagorean Numerology page to read more about it.